Mr. Wray began his law enforcement career in 1997, serving in the Department of Justice as an assistant U.S. attorney for the Northern District of Georgia. In that role, Mr. Wray prosecuted a wide variety of federal criminal cases, including public corruption, gun trafficking, drug offenses, and financial fraud. In 2001, Mr. Wray was named associate deputy attorney general, and then principal associate deputy attorney general, in the Office of the Deputy Attorney General in Washington, D.C. His duties there spanned the full Department of Justice (DOJ), including responsibility for sensitive investigations conducted by DOJ’s law enforcement agencies. Mr. Wray was nominated by President George W. Bush in 2003 to be the assistant attorney general for DOJ’s Criminal Division, supervising major national and international criminal investigations and prosecutions. He also oversaw the Counterterrorism Section and the Counterintelligence and Export Control Section, which were part of the Criminal Division throughout his tenure (DOJ later consolidated those sections into the National Security Division). 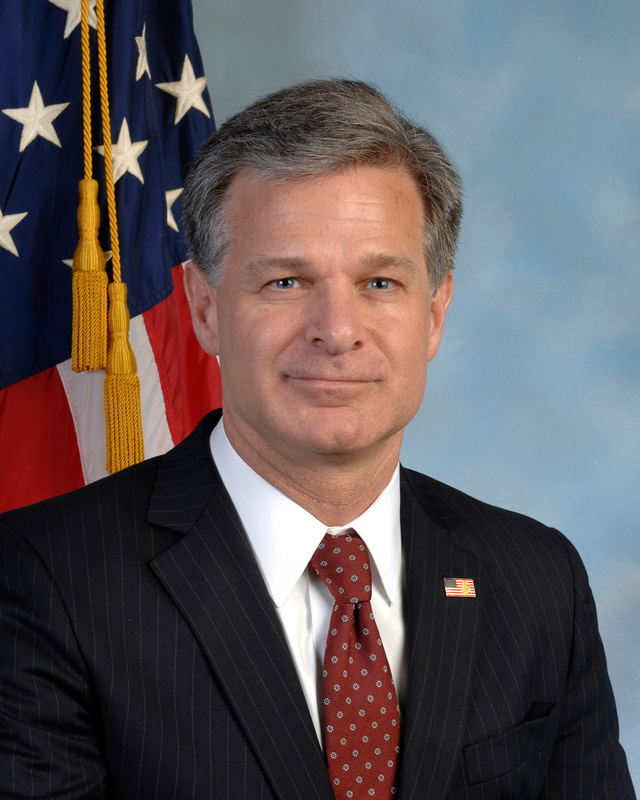 Mr. Wray was a member of the President’s Corporate Fraud Task Force, supervised the Enron Task Force, and served as a leader in DOJ’s post-9/11 efforts to combat terrorism, espionage, and cybercrime with domestic and foreign government partners. At the conclusion of his tenure, Mr. Wray was awarded the Edmund J. Randolph Award, DOJ’s highest award for leadership and public service. Mr. Wray was born in New York City. He graduated with a bachelor’s degree from Yale University in 1989 and earned his law degree from Yale Law School in 1992. He clerked for Judge J. Michael Luttig of the U.S. Court of Appeals for the Fourth Circuit. In 1993, Mr. Wray joined the international law firm of King & Spalding LLP, where he spent a total of almost 17 years practicing law in the area of government investigations and white-collar crime. At the time of his nomination to be FBI Director, Mr. Wray was chair of the firm’s Special Matters and Government Investigations Practice Group.